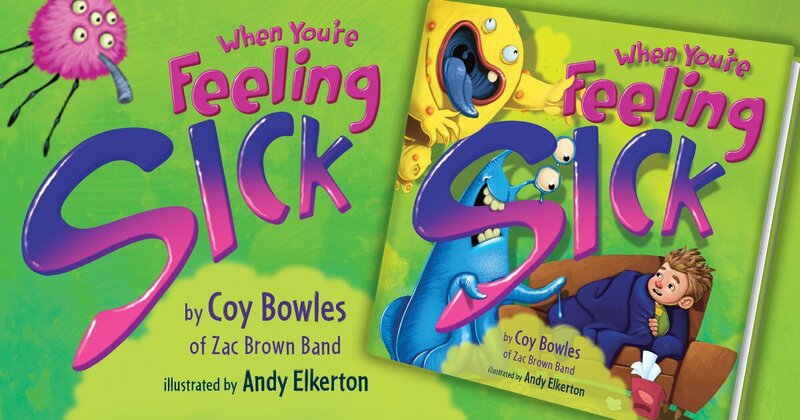 This laugh-out-loud picture book from Coy Bowles, guitarist for the Grammy Award winning Zac Brown Band, will have sick kids feeling better in no time! Sneezing? Coughing? Taking a sick day? Don t worry, you'll be feeling better soon thanks to this hilarious picture book from Coy Bowles, guitarist of the Grammy Award winning Zac Brown Band. 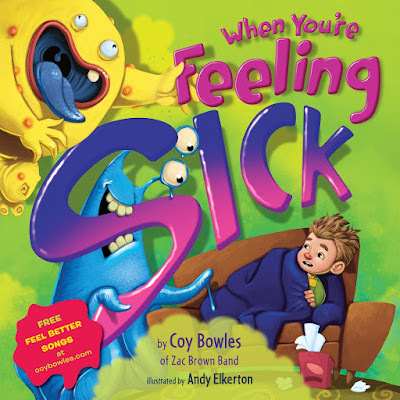 Full of encouraging and super-silly rhyming advice on how to face sick days with courage and a positive attitude, When You re Feeling Sick is just what the doctor ordered! Comes with a sheet of stickers to bring a smile to every sick kid s face. I, like I think every parent out there would be, was super excited when this book came across my desk. What parent doesn't want to find the perfect book that makes their child (and themselves) laugh out loud when they are feeling sick and down? I read "Super silly rhyming advice.." and the fact that it came from the pen of Coy Bowles and I was in. Sadly, When You're Feeling Sick just doesn't quite get there and I can't push it over the line to a fantastic read no matter how I try. Let's start off with the good. The illustrations are fantastic. Fun, bright, appealing, and engaging. The authors message comes across loud and clear: You're going to be okay, take that frown and turn it upside down, this too shall pass, etc. I loved the note from the author talking about how the book came about (sadly that is not going to resinate with little ones) and what it means to him. When You're Feeling Sick is just right there, on the edge of being fantastic but where it falls short is the prose. I had such high hopes for the prose in this story considering the author (and maybe that is the problem, I went in with my expectations too high), but the rhymes turn out clunky more than once. You'll be happily reading along and hit a word and have to go back wondering what you missed that made the rhyme fall off. I found myself going back through the verse trying to find the word that I surely missed that would have made the rhyme complete only to find it wasn't there at all. That clunkiness makes it terribly difficult to read and while you're smallest readers may not mind and will be so engrossed in the pictures they may not even notice if you have an independent reader they are going to struggle and might find themselves getting frustrated. I want so badly to send this book back to the entire Zac Brown Band and say, help.....make it work, because there is so much potential for greatness. What you must do however is go check out the Sickness Song that goes along with the book! If the book leaves you feeling a little blue the song will turn it all around, trust me. You and your kiddos will be dancing all around the house even if they are hopped up on acetaminophen! I wish I could tell you that it's amazing and everyone needs this in their library but in the end this is a just fun book and if you buy it for not other reason than the illustrations you will have a nice book sitting on your child's book shelf. I hope that Coy Bowles will bring us more I think he's a fairly new author with an amazing mind that just needs a little time and polish to get his ideas to come through more smoothly. It's hard with a children's book because you either rhyme or you don't, but you can't be half of one and half of the other. I also hope that he will team up again with Illustrator Andy Elkerton, he really brought this book to life. 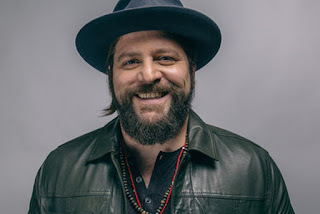 COY BOWLES plays guitar and organ and writes songs for the multiplatinum Zac Brown Band. They have won three Grammys and since 2009, have earned 55 award nominations from the Grammys, Academy of Country Music, American Music Awards, Country Music Association, and Country Music Television. Born in Thomaston, Georgia, Coy was raised on love, support, and the idea that he could do anything he put his heart and soul into. After earning a degree from Georgia State University’s Jazz Studies program, Coy formed the band Coy Bowles and the Fellowship. In 2006, they opened for the Zac Brown Band, and soon after Zac asked Coy to join his band full time. Coy’s first book, the self-published Amy Giggles: Laugh Out Loud, teaches kids to accept themselves as they are. Illustrator ANDY ELKERTON began his career as a graphic designer for video games, when the industry was still in its infancy, and after fourteen years decided to try his hand at being a children’s book illustrator. Since 2002 he has produced work for picture books, advertising, and toy design. He lives in a small town on the west coast of Scotland with his wife and three children.